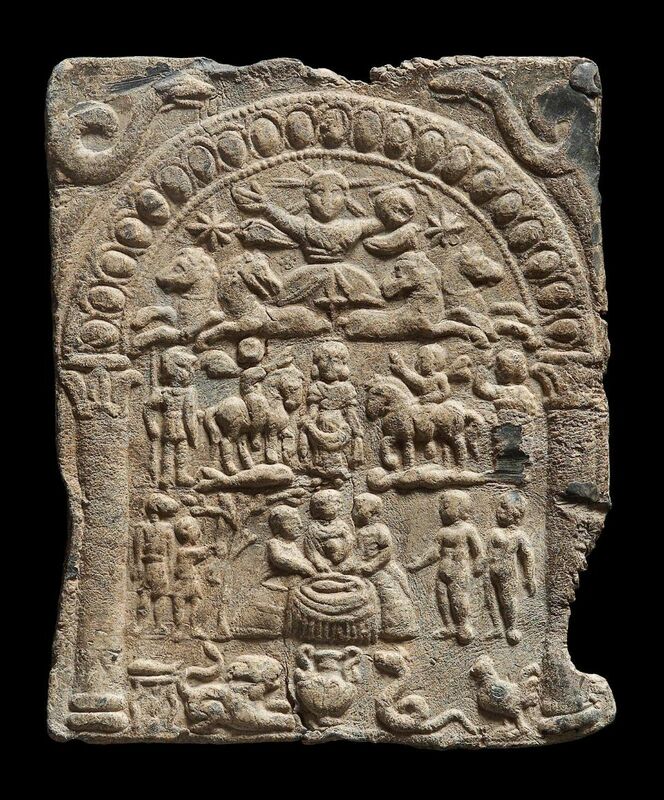 The Getae (Dacians) and other peoples of the Danube basin developed a fascinating religious cult some time between the 1st and 3rdC CE whose imagery seems to have been a syncresis of the worship of Epona and that of the ‘Thracian Hero’ or Sabazios. The reason we know about it is from a collection of small lead plaques and occasional stone stelae depicting cult images. After Trajan conquered the Dacians at the start of the 2ndC CE, his admiration for them as a military fighting force and organised society led to a rapid assimilation of them into the Empire and offered Dacian warriors and nobility an opportunity to serve with honour in the Roman army – particularly the cavalry. Dacians, Dalmatians, Moesians, Sarmatians and their Thracian cousins and neighbours had a great equestrian tradition and became key recruits to Rome’s elite mounted fighting forces. As such their native religious cults often appear to have involved the horse – in particular the mounted ‘Thracian Hero’ and the more northerly ‘Danubian Horsemen’ imagery come to mind. 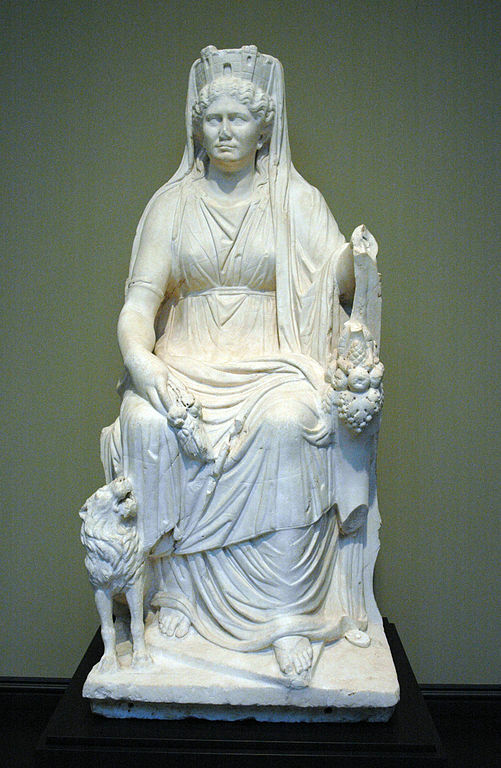 There was also the ‘celtic’ goddess Epona, whose idea and imagery was popular not only in the Balkans and down the Danube, but among the ‘Germanic’ peoples who existed along and around the river Rhine in Germania, and even in Gaul and Rome itself. The phenomenon referred to as the ‘Danubian Horsemen’ cult is perhaps of greatest interest, as appears to show elements of syncretism uniting the more western or Celtic ‘Epona’ cult and the more eastern Thracian ‘Horseman’ cult. The lead plaques which are the most common source of the Danubian imagery are typically quite small – they’d fit in the palm of your hand – and were obviously devotional objects of some kind. An exquisite example of a plaque depicting the ‘Danubian Horsemen’ and their central goddess… seemingly a version of Epona. 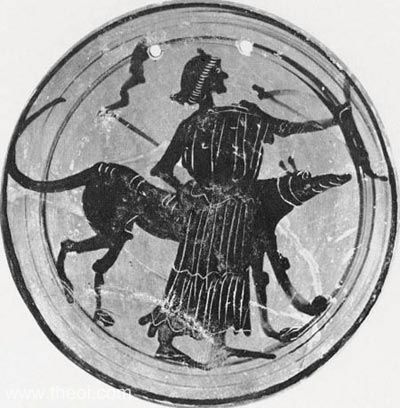 Apart from the central goddess and her two (or four) horses – an image familiar from the Epona cult – they typically show aspects of the chthonic imagery associated with the Thracian/Phrygian deity Sabazios, and Delphic Apollo: namely the serpent or dragon. 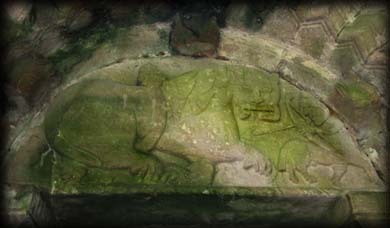 The dragon was an important and iconic aspect of Dacian symbolism, as evidenced by their legendary ‘Draco’ banners as depicted on Trajan’s column in Rome. The other essential piece of imagery associated with the cult is the sacrificial fish which appears in the image above in three forms: under the hooves of one of the horses, on the ‘altar’ surrounded by three women, and upon a sacral tripod. By the ‘Dioskorian’ interpretation of this imagery, the goddess seated between the two horsemen would have been seen as an intercessor between the divine and the mortal and therefore a goddess of death and war. 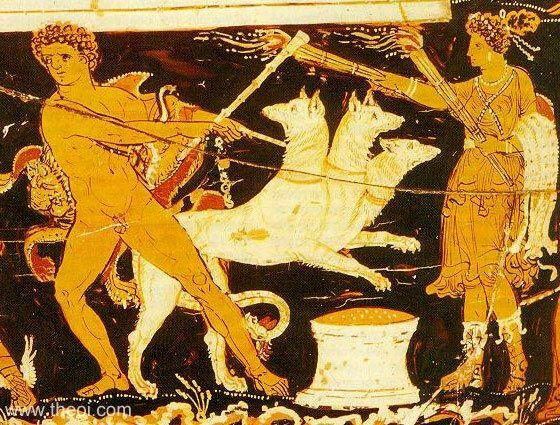 The Dioskouroi – Kastor/Castor and Polydeukes/Pollux themselves represented the combination of immortal with mortal – a fact as important to their cult as their association with horses. By common European norms of the day, the owners and riders of horses held a superior cultural and social status – a feature which has endured down to the modern day. The goddess who controls horses was therefore the goddess with power over human society’s elites – perhaps explaining the importance of ‘Epona’. The ‘fertility’ aspect of Epona has often been commented on – perhaps on account of this cultural power-relationship of humans with horses. 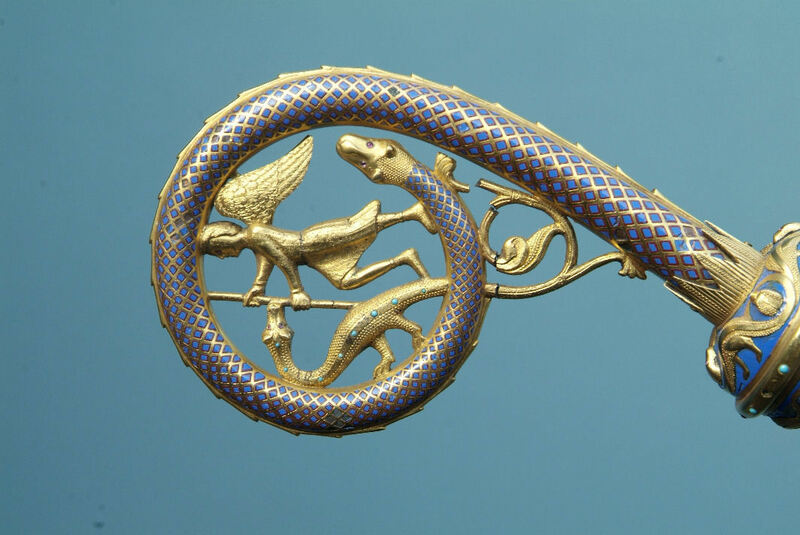 The imagery of serpents associated with the Sabazios and Danubian cults reflects the power of decay to promote fertility – an aspect reflecting the ideas of kingship and ambition which lead to wars, which in turn led to death and regeneration in Europe’s ancient societies. This may explain the fish in the ‘Danubian Horsemen’ cult imagery – the Dioskouroi were also favourites among Greek and Roman fishermen and mariners, and the Danube basin was famously associated with fisheries and river trade as well as its cavalry traditions, and the river was well-stocked with fish in ancient times, including the freshwater Danube Salmon (Hucho hucho) which can grow to a huge size – as big as a man! The giant fish being trampled by the hooves of the leftmost rider on the ‘Danubian’ plaque may well be one of these. 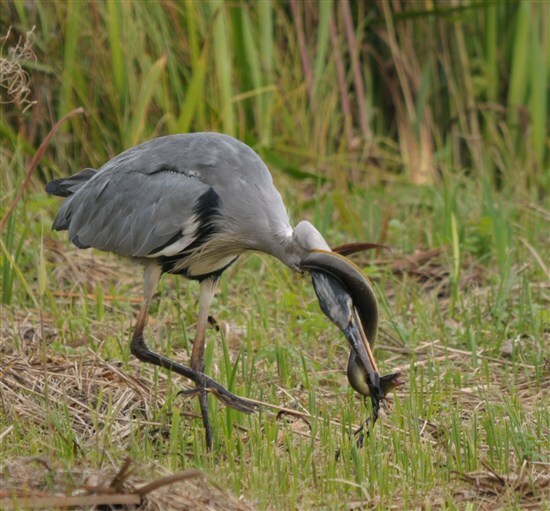 It seems a good fisherman’s alternative to the ‘Thracian Horseman’, typically portrayed trampling his porcine or leonine prey. So why Epona and what does she signify? 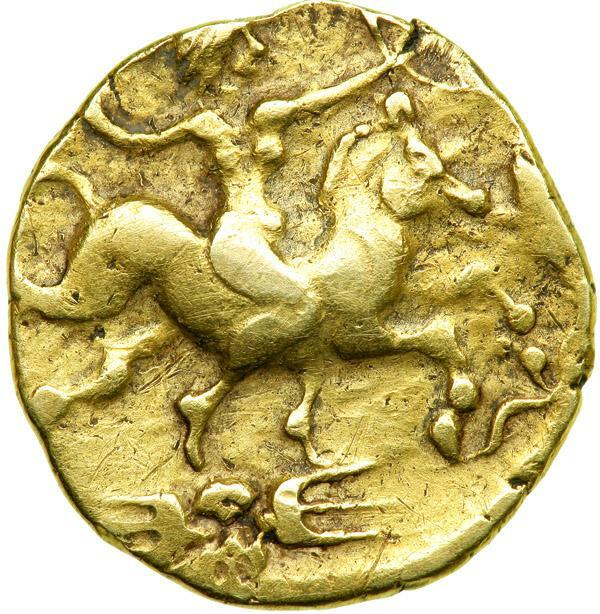 The Danubian ‘Epona’ is depicted making contact with the horses of the two mounted heros, and occupies the central upper part of the plaques’ imagery associated by the usual interpretation with the spiritual or otherworld realms. In the plaque depicted above, under the arch (which depicts the vault of the heavens) is another figure who appears to be driving a quadriga chariot yoked to four horses and with the rays of the sun coming from his head – evidently this is Helios-Apollo. 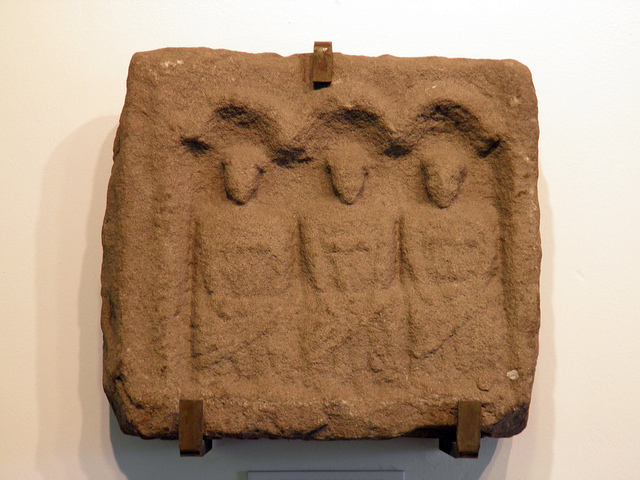 Other similar plaques depict Sol and Luna (or Helios-Apollo and Artemis-Hecate-Selene, interchangeably Sabazios and Bendis) in the same position. 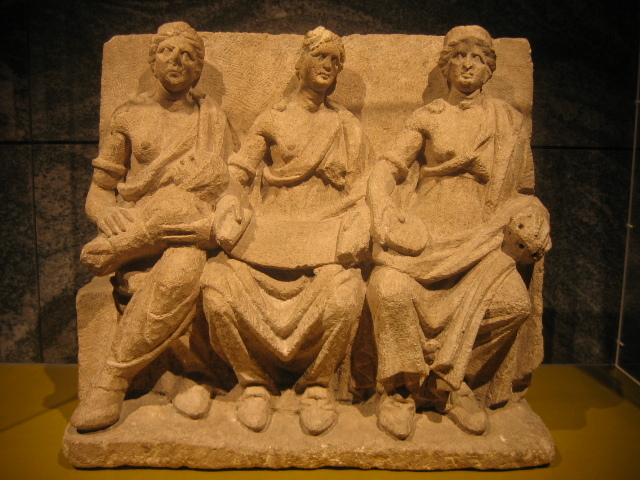 This syncretic imagery seems to have been shared with the late classical Sabazios and Mithras cults of Thracia and Phrygia which subsequently spread throughout the Roman empire. 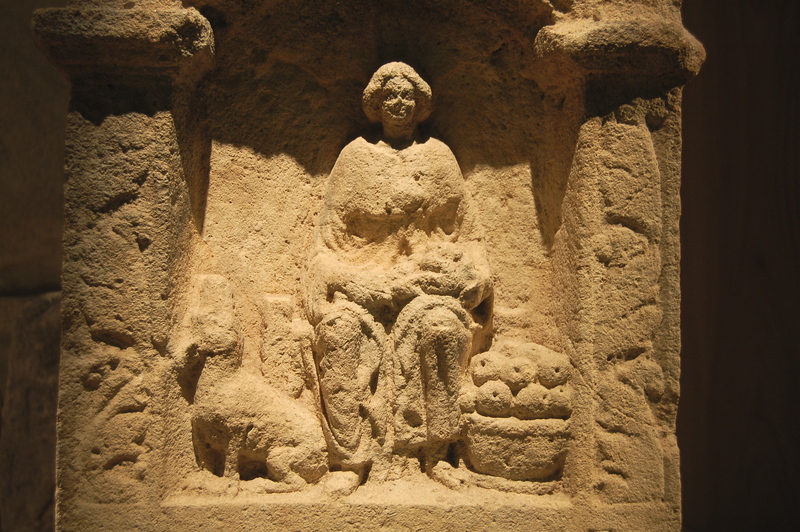 For the solar and lunar gods to be depicted above ‘Epona’ suggests to me that the events in the drama of her mysteries in this cult happened at the gateway to the otherworld, and places this ‘Epona’ as a receiver of the dead. 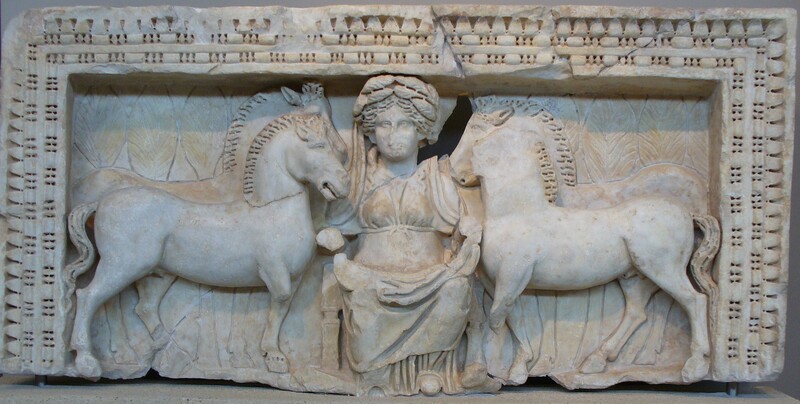 Not a ‘goddess of horses’… She may have been viewed as this by Romans who absorbed Epona’s cult (see: Juvenal, Satires VIII), but they also popularised the Dioscuri as gods of horses! This was evidently a mystery cult whose outward façade hid higher truths. In the mythology of the people of Hesse in Germany, perhaps the most well-known character is that of ‘Frau Holle’. Exposed to the world at large in the writings of Jacob and Wilhelm Grimm in the early 19th century, she has remained an important and intriguing cornerstone of German folk mythology, and is generally considered to represent a demoted form of the great European goddess of old. That she appears to share such similarities to ‘An Cailleach’ of Gaelic folklore is all the more interesting given the supposed divide between the ideas of ‘Celtic’ and ‘Germanic’ mythology. A widow had two daughters, the one was beautiful and industrious, the other ugly and lazy. She greatly favored the ugly, lazy girl, because she was her own daughter. And the other one had to do all the work, and be the Cinderella of the house. Then the girl went back to the well, and did not know what to do. Terrified, she jumped into the well to get the reel. She lost her senses. And when she awoke and came to herself again, she was in a beautiful meadow where the sun was shining, and there were many thousands of flowers. She walked across this meadow and came to an oven full of bread. The bread called out, “Oh, take me out. Take me out, or I’ll burn. I’ve been thoroughly baked for a long time.” So she stepped up to it, and with a baker’s peel took everything out, one loaf after the other. After that she walked further and came to a tree laden with apples. “Shake me. Shake me. We apples are all ripe.” cried the tree. So she shook the tree until the apples fell as though it were raining apples. When none were left in the tree, she gathered them into a pile, and then continued on her way. Because the old woman spoke so kindly to her, the girl took heart, agreed, and started in her service. The girl took care of everything to Frau Holle’s satisfaction and always shook her featherbed vigorously until the feathers flew about like snowflakes. Therefore she had a good life with her: no angry words, and boiled or roast meat every day. Frau Holle said, “I am pleased that you long for your home again, and because you have served me so faithfully, I will take you back myself.” With that she took her by the hand and led her to a large gate. The gate was opened, and while the girl was standing under it, an immense rain of gold fell, and all the gold stuck to her, so that she was completely covered with it. 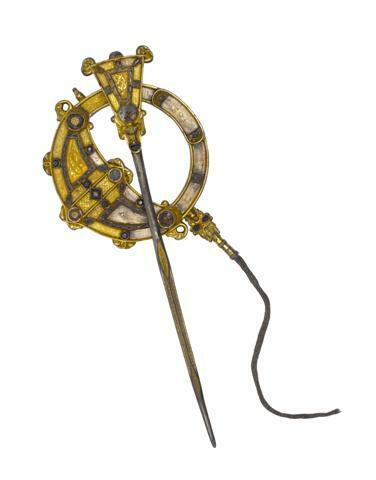 “This is yours because you have been so industrious,” said Frau Holle, and at the same time she gave her back the reel which had fallen into the well. Our golden girl is here anew. Then she went inside to her mother, and as she arrived all covered with gold, she was well received, both by her mother and her sister. The girl told all that had happened to her, and when the mother heard how she had come to the great wealth, she wanted to achieve the same fortune for the other, the ugly and lazy daughter. She made her go and sit by the well and spin. And to make her reel bloody, the lazy girl pricked her fingers and shoved her hand into a thorn bush. Then she threw the reel into the well, and jumped in herself. But the lazy girl answered, “As if I would want to get all dirty,” and walked away. But she answered, “Oh yes, one could fall on my head,” and with that she walked on. When she came to Frau Holle’s house, she was not afraid, because she had already heard about her large teeth, and she immediately began to work for her. On the first day she forced herself, was industrious, and obeyed Frau Holle, when she said something to her, because she was thinking about all the gold that she would give her. But on the second day she already began to be lazy, on the third day even more so, and then she didn’t even want to get up in the morning. She did not make the bed for Frau Holle, the way she was supposed to, and she did not shake it until the feathers flew. Frau Holle soon became tired of this and dismissed her of her duties. This was just what the lazy girl wanted, for she thought that she would now get the rain of gold. Frau Holle led her too to the gate. 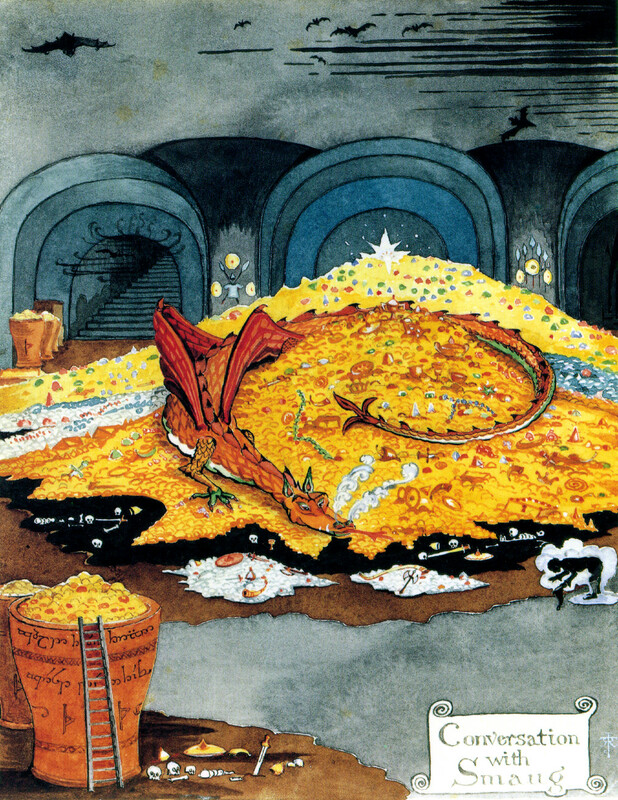 She stood beneath it, but instead of gold, a large kettle full of pitch spilled over her. “That is the reward for your services,” said Frau Holle, and closed the gate. Our dirty girl is here anew. And the pitch stuck fast to her, and did not come off as long as she lived. The tale exhibits certain key traits that equate Frau Holle with the old European goddess: Firstly, Frau Holle’s world is reached through water into which a bloody spinning reel is dropped. She lives in a beautiful meadow or garden, where her work appears to be baking bread and growing apples. These are, as it happens, the ‘bounty’ depicted on Roman era statues of the goddess known as ‘Nehalennia’ from Zeeland in the Low Countries. She has the power to reward respect and hard work with worldly wealth, and to punish idleness in equal measure. Other traditions about her were subsequently collected and written down, inspired by the recently-recovered Icelandic Edda literature which opened peoples’ eyes to the Old Gods of the Scandinavians and Germans. People were eager to trace a link between folktales and childrens’ rhymes with these, and Frau Holle/Holda became a representative case of a recovered goddess, taken to task by the other Grimm, Jacob, in his seminal work Deutsche Mytholgie (1835). Grimm found Holda/Perchta strongly associated with the female art of spinning, firmly connected with the traditions of Yuletide and 12th night, the rider of a wagon who was engaged to do work for farmers. She was ascribed a golden bucket from which rivers of water fell as she climbed hills. Holda/Perchta was also associated with the care of unbaptized souls (i.e. – children who died before baptism), and was portrayed as a leader of the ‘Wild Hunt’ usually associated with Woden himself. This led Grimm to make the equation of Holle/Perchta with Frigg and Freyja. She certainly fitted the type of the kind of chthonic fertility goddess we see depicted on Roman era shrines to the Matres/Matronae and Nehalennia, however Grimm had little to say about an identity between Nehalennia and Holda, who I suggest are the same. The name ‘Halen’ is derived by removing the celtic definite article Ne- and the terminal -ia. ‘Hollen’ was another of Holda’s names – associating her with the ‘Tree of the Dead’, the Elder (Sambucus Nigra). This fits with Grimm’s observations about an association with Yuletide. The Cistercians of the 13thC were hell-bent on correcting any slippages back into heathenism, and were perhaps the greatest promoters of the cult of the Virgin Mary, who was their patron saint. The term ‘queen of heaven’ was applied to her in particular. Contemporary Cistercian authors such as Jocelyn of Furness appear to have gone out of their way to re-forge many old pagan narratives into Christian ones, as can be seen in his Life of St Kentigern. They were up against the popular courtly tales of Arthur & Co, which were almost explicit in their dealing with the goddess, as well as opposing religious sects such as the Cathars of the Pays d’Oc and Italy. In spite of adding an overlay of ‘Mariology’ to medieval Europe’s mythology, they failed to expel the memory and stories of ‘Holda’. Of particular interest to this reference by Rudolph is that the Anglo-Saxon author Bede (‘De Temporum Ratione’ – 8thC) recorded that the heathens celebrated an observance called Mōdraniht on Christmas eve: This means ‘Mothers Night’.